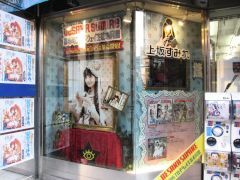 In January 2014 all of the second floor windows at Toranoana had advertisements for Kakumeiteki Broadway Shugisha Doumei, the debut album by Uesaka Sumire. In the middle of January, there were some advertisements on the pillars of JR Akihabara Station for the new TV anime Inari Konkon Koi Iroha. Tamura Yukari "Cute'n Cute'n Heart"
In the middle of January there was a store front display at Gamers for Tamura Yukari. In January 2014, the advertisement on the wall of the Radio Kaikan construction site changed to the new TV anime Witch Craft Works. 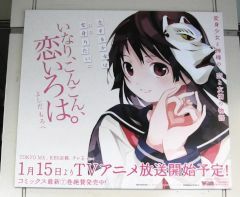 At the beginning of January 2014, there was a store front display at Animate for the debut album by Uesaka Sumire, Kakumeiteki Broadway Shugisha Doumei. 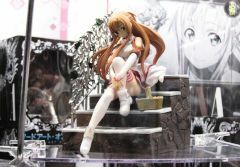 At the beginning of January 2014, there were some ufo catcher items available for Sword Art Online. 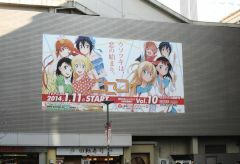 At the end of December 2013 and the beginning of January 2014, there was a large advertisement just outside of JR Akihabara Station for the upcoming TV anime Nisekoi. 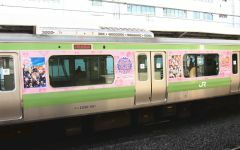 At the end of December 2013 and the beginning of January 2014, there were Yamanote line trains decorated by Love Live characters.